Why Do Some of Us Crave Bacon in The Winter? Vitamin D levels have fallen in many populations around the world, particularly in northern climates. Today about 80% of North Americans demonstrate some levels of deficiency in vitamin D. This is primarily due to the changes in diet and lifestyle – less healthy fats in our meals, less unprotected sun exposure. Ministry of Health is trying to fix the problem by fortifying our food with synthetic vitamin D. We have fortified cow and soy milk, cereal and orange juice in the stores. We know now that synthetic vitamin C and synthetic vitamin E were the biggest supplement scams. Is the synthetic vitamin D the next one? We are advised to take D supplements. At the same time, we are warned to be cautious, as 2/3 of the vitamin D and Omega 3 supplements on the market are packaged being already rancid. A safe alternative is to include fatty fish like salmon, trout, catfish and herring in our menus. But what about those people in small locales, far from the sea coast, who never had a lot of fish in their diets and still managed to have healthy levels of vitamin D? The answer will probably make you feel good: bacon! 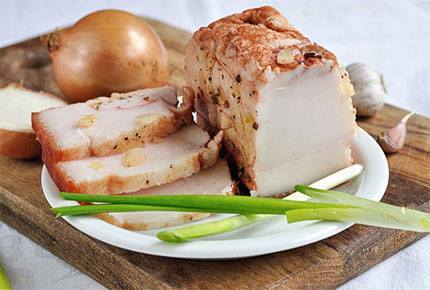 Pork fat found to be the second to fatty fish in a natural level of vitamin D. So favoured by North American and European homesteaders, lard was their main winter vitamin D supplement. So, bacon for breakfast may not be such a bad idea. The only catch is that the bacon should be from pastured pigs, spending their life outside, getting enough sun. The fat of confined pigs contains zero vitamin D.